I love the barefoot girls. 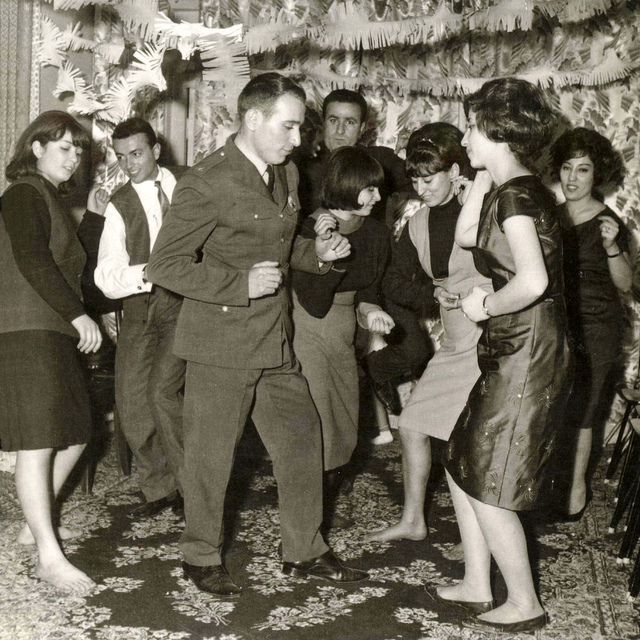 I've seen some pretty great photos of Afghanistan in the fifties. Good thing we got in there and sorted that whole area out! yea! finally my people aren't in a picture and being compared to terrorists and murderers. This is the Iran my Persian friends' parents talk about. When I was your age the only reason to dance in Tehran was because somebody was shooting at your feet. Oh, c'mon, people in Tehran still party like that but only behind closed doors. And when they do they don't wear their veils and headscarfs and all that. Yeah, there are laws forbidding alcohol and partys and stuff but that doesn't mean people just don't celebrate any more. I've also seen young couples holding hands in the streets there although it's not allowed.